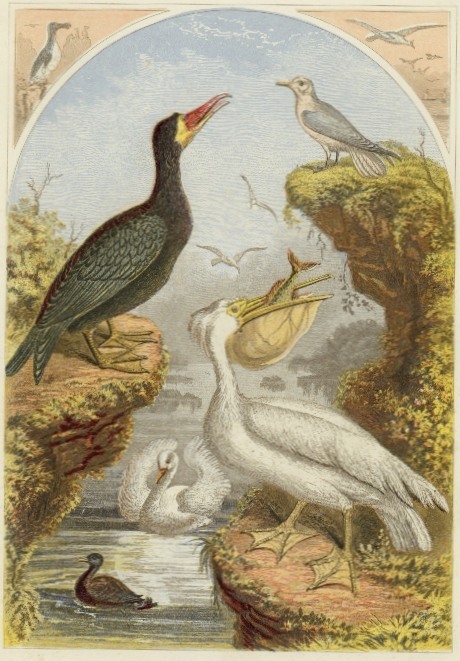 Wonderful, vintage bookplate of a variety of shore and water birds. A white pelican gobbles a fish, a swan shows off it’s lovely plumage and a number of other birds all come together in this terrific copyright free bird image. There’s just so many great ways this image could be used.